Making the decision to buy a mobility scooter or electric wheelchair is a major step in anyone’s life—so congratulations on beginning this important journey. For nearly two million people like you or the loved one you’re supporting through this process, motorized mobility devices provide a vastly improved lifestyle with more access to get up and go whenever and wherever you want. While you’re excited about the freedom and independence provided by an electric wheelchair or motorized scooter, you may not be sure about the details of making it happen. Many first time buyers feel unclear about when and how to purchase mobility equipment, especially as the technology in this field becomes ever more advanced. Even with loved ones involved in research and planning, this period of time can feel overwhelming. Luckily, your ideal mobility solution is well within reach when you’re empowered with the right information. Breaking the process down into simple steps will help you to navigate this transition with confidence. This article will guide you through the ultimate checklist for purchasing a mobility scooter or electric wheelchair. By the time you finish reading it, you’ll have the knowledge you need to make the best choice for your or your loved one’s mobility goals. Whether this is your first time considering purchasing an update d mobility aid or even if you’ve been down this road before but aren’t sure you made the most informed choice possible, the truth is there are important differences between electric scooters and wheelchairs. As you probably know, electric scooters and power wheelchairs have a lot in common. Most centrally, both enable people with issues standing, walking or balancing go about their daily activities with greater ease and independence. Both can work well in a range of indoor or outdoor environments, and both can be customized to fit larger-sized individuals. They are even powered in similar ways, using a battery that lasts an average of 15 miles on a single charge. However, electric mobility scooters and electric wheelchairs complement people’s lives in very different ways. Launch your search by taking a big-picture look at what you want most out of your mobility solution. With so many options available for both motorized scooters and electric wheelchairs, you shouldn’t feel the need to sacrifice one set of qualities for an other. Thinking through these types of questions at the outset of your purchasing decision, however, and discussing them with the important people in your life will make the rest of the process much smoother. Each person’s needs put a unique lens on the pros and cons of scooters and wheelchairs—and as you will see later in the article, there are many exceptions to conventional “rules” about what kind of mobility equipment does what. That said, there are a number of considerations that should always help inform your decision. We’ll look closer at many of these questions next; but for a quick overview, we’ve compiled them here along with the choice that most often addresses the issue at hand. Select the answer that makes most sense for you or your loved one for a quick indication of whether an electric scooter or power wheelchair is the better choice for your overall needs. 1) Will you be using the equipment for outdoor activities and errands? Electric mobility scooters are a better fit for highly active lifestyles because of their extended range options, portability and ability to handle more diverse outdoor terrain. 2) How critical is seat comfort? An electric wheelchair has more adjustable settings, padding and posture support than a scooter, providing maximum comfort for long periods of time. 3) Will you, family members and/or a caretaker need to transport it on a regular basis? Electric mobility scooters are a more potable option, as they are typically lighter weight and easier to disassemble than electric wheelchairs. 4) Do you have physical or cognitive difficulty that could interfere with operation? An electric wheelchair can provide more peace of mind if you or your loved one struggle with posture, stability, vision, alertness or other issues. 5) Do you require more than average weight and/or height support? A heavy duty electric wheelchair supports up to 500 pounds and offers a more generous seating space than a scooter, making it more comfortable for larger sized people. Keep your answers to these questions in mind as they we move deeper into the specific qualities of electric scooters and power wheelchairs. As a whole, mobility scooters are better for those who want to use their equipment for longer distances and/or in a wider range of outdoor settings. The average electric scooter has an operating range of about 15 miles, though some models can go as far as 40 miles. Many outdoor scooters are equipped with four-wheel drive, wider tires and other features that enable them to tackle slightly rougher terrain than outdoor wheelchairs. A lightweight mobility scooter can weigh as little as 50 pounds (as opposed to the 100 pound average of a power wheelchair), making it much easier to take o n the go. Simple to assemble and dismantle, a compact model can be folded to fit in the trunk of a standard-sized car, under a bed or even on a plane. Electric mobility scooters tend to be the less expensive option , starting at around $900. With more lightweight, compact models coming on the market, they will likely become even more financially accessible in the future. For people who do not require the support of a wheelchair, using an electric mobility scooter can add even more fun and independence to everyday activities. Between their longer distances, higher speeds and the overall feeling of being less physically confined, electric mobility scooters are attractive to those seeking the most liberating experience possible. Because they have a wider turning radius than electric wheelchairs, motorized scooters can be cumbersome to operate in indoor settings. If your environment requires you to move around sharp turns and tight spaces, an electric scooter may not be the right choice. Compact scooter models are helping solve this challenge, but in general the length and size of an average electric mobility scooter make them better suited for outdoor use. Generally, motorized scooters require more physical and cognitive effort to operate than many wheelchair options—so it’s critical consult a doctor before finalizing your decision. For example, a scooter user must be able to do a small amount of walking without assistance, as well as remain focused on surroundings throughout the entire duration of the trip. Unfortunately, electric mobility scooters are more difficult to cover through insurance than electric wheelchairs and are not typically covered by Medicaid. If the scooter is deemed medically necessary, then you may be able to get reimbursement, but the process can take considerable time and paperwork. Even as a wholly or partially out-of-pocket expense, however, an electric scooter can still be a very affordable investment. An electric wheelchair provides many of the same benefits as a mobility scooter, but with enhanced comfort and ease of use. 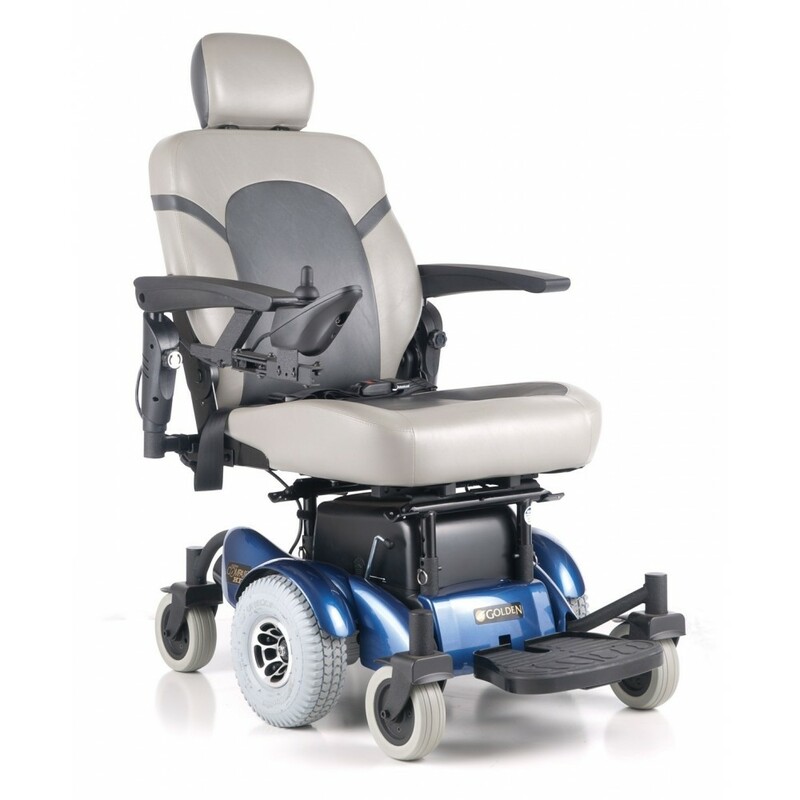 Today’s electric wheelchairs provide many adjustable options for height, tilt, reclining and leg space and other settings, allowing you or your loved one to settle in for long periods of time. For those with upper body mobility issues, being able to use a joystick and relax your arms can significantly reduce exertion. Electric wheelchairs are often better for indoor use as their tight turning radius—as little as 20 inches—makes it easier to steer with precision. The size and handling ability of a wheelchair can be invaluable for you or your loved one when navigating a small apartment, crowded restaurant or narrow hallway. Although both electric mobility scooters and electric wheelchairs can both be taken on buses and trains, getting a wheelchair on board is often more convenient. Offsetting their reduced portability in other areas, all electric wheelchairs provide 4-point tie-downs for safe, reliable transportation in a moving vehicle. 4) Electric wheelchairs are usually covered by insurance. Most electric wheelchairs are covered by insurance if your doctor deems the equipment necessary for your physical needs. Medicaid covers most electric wheelchairs at 80% with a 20% copay. Manual wheelchairs are covered in full. Now that you have a better idea of what type of equipment you need, you’re ready to move ahead in purchasing your mobility scooter or electric wheelchair! Taking care to prepare a personalized list of wants and needs will help you optimize the shopping experience. It also makes it easy and effective to shop online. Make sure you are working with a reputable mobility vendor with excellent customer reviews. The person assisting you should be a good listener who isn’t trying to rush you into a purchase. Whether it’s online, on a phone call or chat, or in person, this should be a clear, helpful conversation that puts you first. Never hesitate to bring up a question or concern with your vendor; if something seems a little off now, it could be a frustrating problem down the road. Make sure you’ve looked into all of the following before deciding to purchase a specific product. What kind of battery does the equipment use? 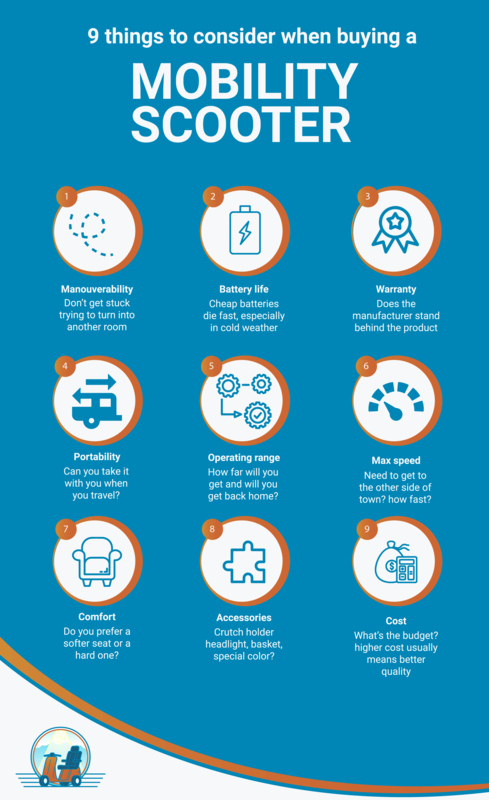 Whether you’re buying a mobility scooter or an electric wheelchair, the battery is one of the most important parts of your purchase. The battery will be included in the final price of your equipment and should last you several years with the right quality and care. It is important to understand the type of battery used in your specific electric scooter or power wheelchair, and the level of effort needed to keep it properly charged. To avoid paying for a longer battery life than you need, estimate your daily mileage. You might realize that a smaller operating range would be a more time- and cost-efficient solution for you. If you need help estimating your daily mileage, speak up! Asking this kind of question ensures you’re going to get what best suits your lifestyle and current needs. You’re making a significant investment of time, effort and finances, so every part of the scooter or wheelchair should fit, feel and work exactly how you want it to. What if it doesn’t fit or work like I thought it would? All good vendors will give you the opportunity to try out the equipment, with a fair trial period. After all, the goal is to help you lead the life you want, with the right electric mobility solution to provide you with the freedom you desire - and deserve. You’re making a significant investment of time, effort and finances, so every part of the scooter or wheelchair should fit, feel and work exactly how you want it to. To ensure your total satisfaction, the vendor should help guide you through thorough testing that includes turning, slowing, stopping and if applicable, dismantling the equipment. During this try-out you should also check that you can comfortably get on and off the equipment with the same amount of assistance you will have in your day to day use. Also confirm that the equipment can fit in the entryways, vehicles and other spaces you need it so. If these or any other issues are troubling you, whether before or after your purchase, make yourself heard. Your vendor will be able to suggest adjustments that could help solve the problem, and if necessary make it quick and easy for you to return the product. How will I get the equipment home and set up? 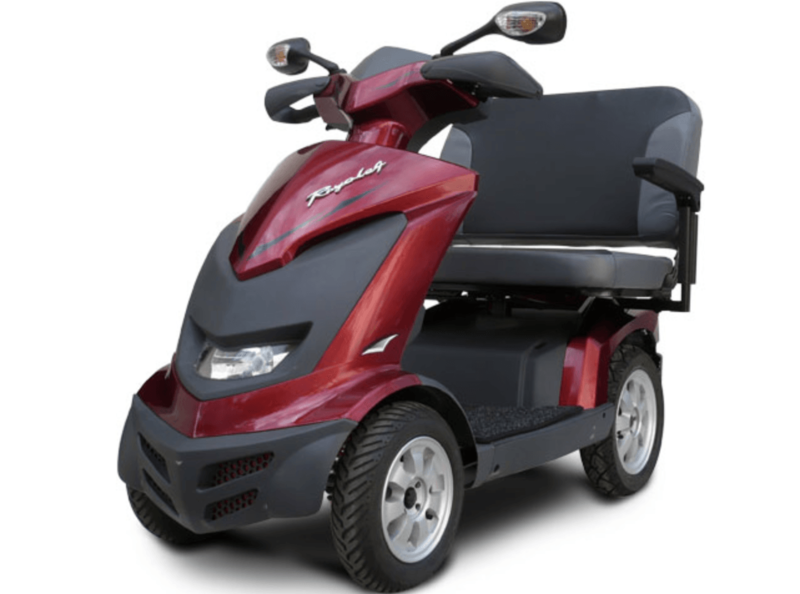 Delivery and assembly options will vary based on where you purchase your mobility equipment and what type of model it is. For example, a lightweight travel scooter can be delivered in a box and assembled by you or a loved one. A heavy duty product will likely come fully assembled. With an online retailer, you will not have to worry about transporting your equipment home in your own vehicle. Like a car or other large purchase, your mobility scooter or electric wheelchair may require periodic maintenance. Asking about extended warranties, availability of spare parts and options for servicing will give you the comfort of knowing you’ll have friendly, knowledgeable support should anything go wrong. If you’ve decided that an electric scooter is the right choice for you or your loved one, it’s time to explore your options. (If you’re choosing to purchase an electric wheelchair, feel free to SKIP AHEAD!) Today’s scooter buyers have the power to pick and choose from a growing range of features, resulting in highly tailored solutions that support their long-term needs. The more you know about the main types of mobility scooters available, the more focused you’ll be as you narrow down your options. Class 2 scooters, which can be used on footpaths, sidewalks and to cross roads at up to four miles per hour. Class 3 scooters, which can be used on roads and have a higher maximum speed. Since both types are designed for pedestrian use, neither one requires a driver’s license or vehicle insurance. Electric mobility scooters come in three- and four-wheel models , encompassing numerous designs and capabilities. Many even come in lively colors and styles so you can show off your unique personality or choose an option that beautifully complements your lifestyle. With a broader base, larger motor and wider wheels than other types of scooters, heavy duty models provide unsurpassed support and power in a number of outdoor activities. They have a higher weight capacity and more seating space than average mobility scooters, making them an ideal choice for larger individuals who are frequently on the go. Heavy duty electric scooters are the most “rugged” of any outdo or mobility solutions, providing optimal stability on uneven or unpaved surfaces. To further aid in your outdoor adventures, they can come equipped with extra features such as headlights, carry baskets and canopies. For these reasons they are the heaviest, and most expensive, type of electric scooter. Heavy duty mobility scooters can be as robust as EV Rider’s Royale 4 Dual Seat Scooter, which has 32-inch seating so wide you can even take a friend with you . This particular model can take one rider up to 32 miles and operate at a speed of 9 miles per hour. This heavy duty electric mobility scooter is ideal for those looking for a comfortable ride while giving them the power to meet the challenges of day to day travel. This machine is ideal for going up and down steep slopes or inclines, while allowing each rider the ability to maneuver easily around any obstacle they may encounter. If you’re looking for a high quality mobility scooter that can keep up with your active lifestyle handling laundry, groceries and fury friends alike then this the scooter for you. 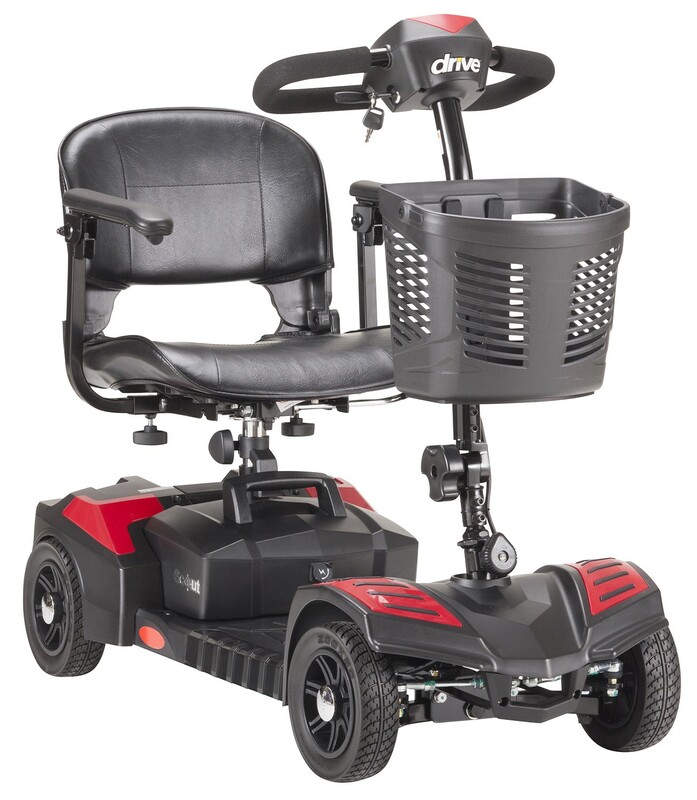 A “lighter” but still heavy duty option, such as Drive Medical’s Phoenix 4-Wheel Heavy Duty Scooter, supports extra weight (up to 350 pounds as opposed to the average 300) and offers many of the same outdoor capabilities. Models on this end of the heavy duty spectrum can still travel about 15 miles on a single battery charge, but are less expensive and more portable. This heavy duty mobility scooter was designed with two main aspects in mind, the first to create a personal mobility scooter for those with strength and/ or dexterity issues. The scooter was designed to be quickly and easily assembled and disassembled as well as light weight so most anyone can transport it with them. The other aspect that makes this heavy duty mobilityscooter unique is that as mentioned above it has the highest carrying capacity of any electric mobility scooter in its class. Even when under stress or going up moderate inclines the engine is designed to maintain its speed without slowing down. Indoor mobility scooters are lighter and more compact than outdoor mobility scooters, offering a tighter turning radius (although still not as tight as power wheelchairs). This type of scooter is ideal for people who do not require long-distance use and will be using the scooter on smooth and level terrain. A model like Golden’s LiteRider 3-Wheel Scooter, which is also available with four wheels, is a smart option for those who want to keep both their equipment weight and costs low. The LiteRider’s heaviest piece weighs only 44 pounds, and its operating range of 10 miles is plenty for many users. A lightweight and compact indoor mobility scooter offering a 360° mechanism that provides the rider with complete maneuverability for quick and easy situation on or off the machine. As an indoor scooter the Golden LiteRider is an ideal home use scooter, whether you want the 3-wheel or 4-wheel model the tight and compact frame makes maneuvering indoors and around tight corners easy. If you’re looking for a convenient and fun way to run errands, get around town or spend time in the great outdoors, an outdoor electric mobility scooter is the right product for you. Outdoor electric scooters, especially those with 4-wheel drive, are designed to increase stability on roads, hills, grass, gravel and other terrain. A model like Afikim’s Breeze S 4-Wheel Scooter, acclaimed for its ergonomic design, can take you on outings of up to 29 miles through either urban or rural settings. Customers requiring additional space can choose a wider seat option, although this will halve the scooter’s operating range and drop its maximum speed from 9.3 mph to 7.5 mph. A mobility scooter designed around customizable comfort and durability. Winner of the “Red Dot Design Award” this robust mobility scooter can help restore your sense of capability and function, easily allowing you to explore your community and neighbourhood. If you are looking for an outdoor scooter that is fast, sturdy and formed to fit your comfort then this is the scooter for you. Those who want to go even farther can opt for an extended distance model such as E-Wheels 72 Scooter. This electric mobility scooter can travel 43 miles on a single battery charge and reach a maximum speed of 15 miles per hour. One of the highest powered electric mobility scooters on the market, powered by a 700 watt Hub Motor and a work duty 48V/20AH lead maintenance-free acid battery with a weight capability of 500lbs. No matter you if you want to get around your house or go for a quick nature stroll through your local park or neighbourhood this mobility scooter can carry anything you want to take with you and won’t slow you down. Easy assembly and transportation are deciding factors in many scooter purchases. Compact electric scooters can be folded up in a matter of minutes, making them to store in the back seat or trunk of a standard-size car. Contrary to what many people think, these scooters can even be taken on airplanes. The trade-off in this category of electric scooter is that with greater portability and smaller size comes a decrease in overall comfort. 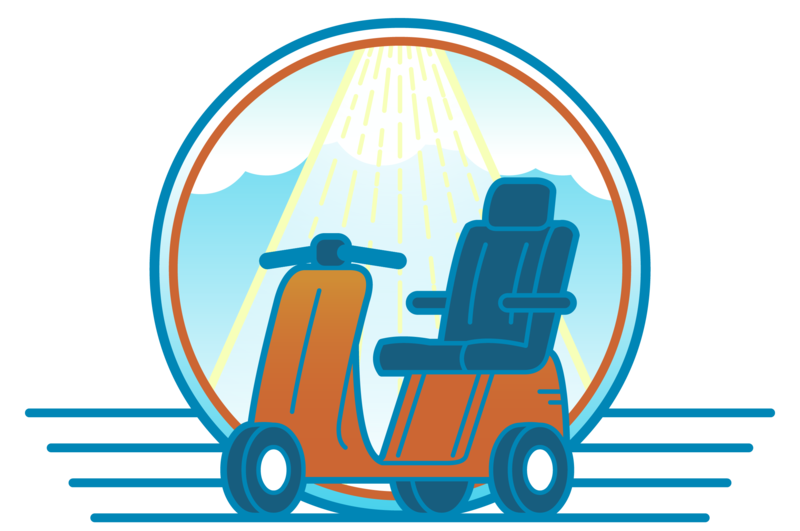 A lower weight capacity, smaller seating and less padding are some of the reasons travel scooters may be not the most fitting for daily use. Drive Medical’s Spitfire Scout 4 is an example of a lower-cost but still very effective extended range mobility scooter. For its price under $1,000 and a total weight of only 94 lbs. , the Spitfire Scout 4 travels an impressive 15 miles on a full charge and is more portable than heavier alternatives. Designed with many needs in mind, Pride mobility focused on comfort of the rider and ease of transportation either riding or transporting the mobility scooter. With a front frame mounted post providing the seat maximum stability, the rider will be supported and balanced on the mobility scooter. The frame while built to be durable is easily disassembled for transportation, as well a full charge will take the rider 9.7 miles making it the perfect travel mobility scooter. Travel scooters are now extremely advanced: a model like Drive Medical’s ZooMe Auto Flex folding scooter, for instance, folds and unfolds in as little as 15 seconds using a wireless key fob. One of the top rated travel mobility scooters on the market, with an easy to perform assembly, whether you are getting ready to ride or get it ready for transportation, this model’s quick and easy build makes it a perfect partner for holidays, getaways or long travels. Along with its amazing compatibility, the tires which are non-pneumatic will never pop, run flat or even mark the floors making it ideal for indoor use as well. Along with a strong battery holding enough charge for 13 miles round trip, this compact travel scooter has something to offer everyone. 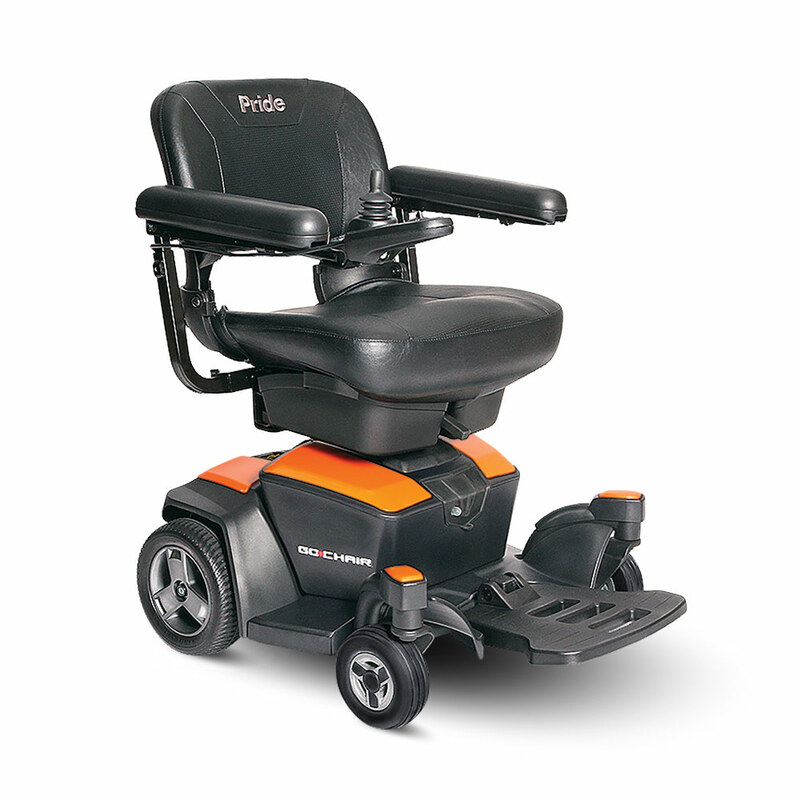 Pride Mobility is so good at creating high-quality, affordable equipment that we want to give them a special mention. 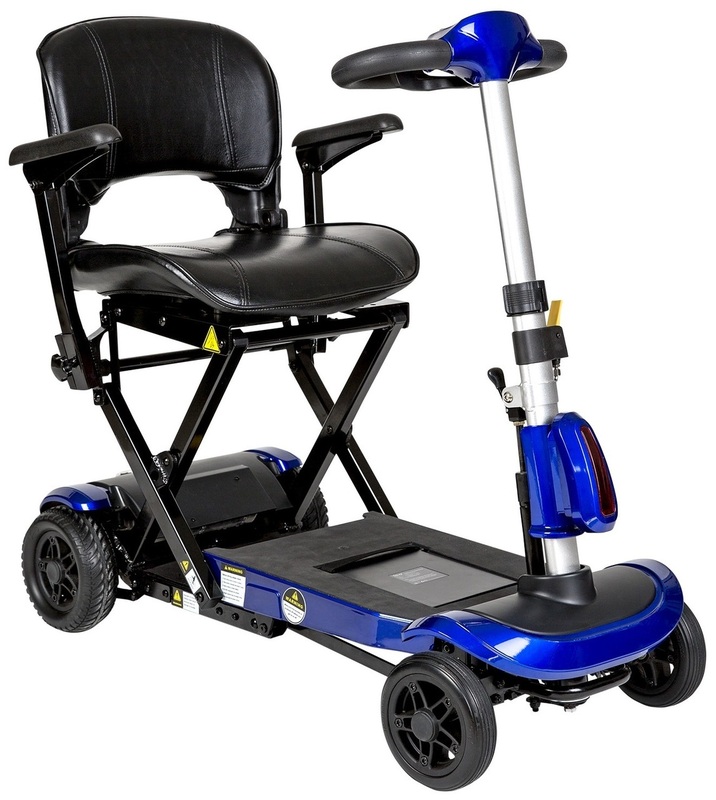 As a leading manufacturer of many mobility aids, including both electric mobility scooter and electric wheelchairs, Pride Mobility offers its riders a variety if riding options designed to fit their lifestyle while providing the best comfort and quality mobility mobiles the market has to offer. Pride Mobility understands that mobility aid devices are more than just about helping someone move, it’s about helping someone regain their freedom and and sense of independence. Time and time again we have seen the empowerment our products have brought into to the lives of loved ones all across the world, which is why we are so proud to offer expertly designed and crafted mobility products. Pride’s Go-Go Elite Traveler 4-Wheel Scooter gets raves for not only its cushioned, supportive seat, but also for being so lightweight and easily portable. It ’s available in both 3-wheel and 4-wheel models. 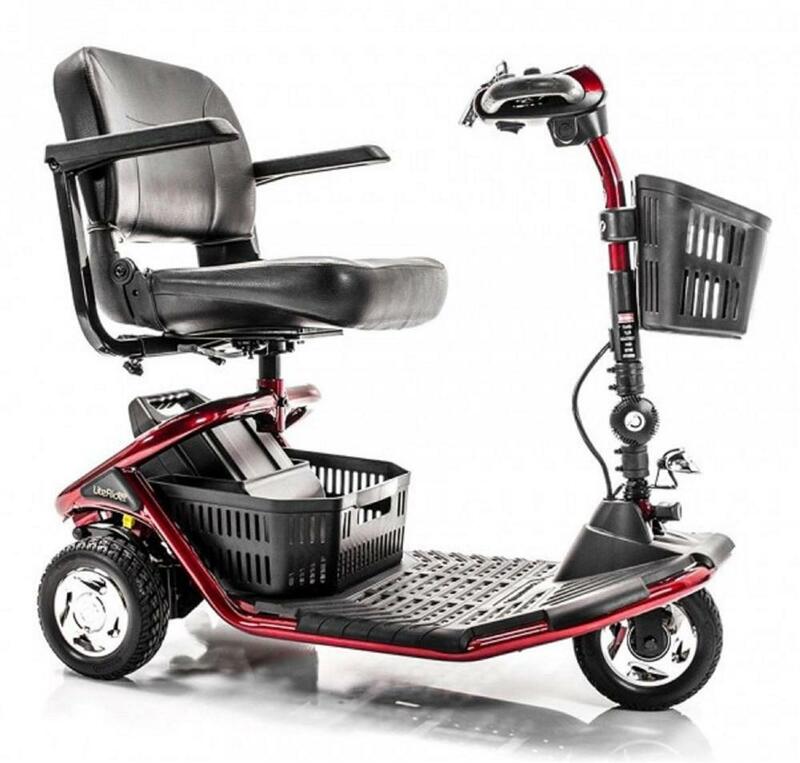 Designed with many needs in mind, Pride mobility focused on comfort of the rider and ease of transportation whether your riding or transporting the mobility scooter. With a front frame mounted post providing the seat maximum stability, the rider will be supported and balanced on the mobility scooter. The frame while built to be durable is easily disassembled for transportation, as well a full charge will take the rider 9.7 miles making it the perfect travel mobility scooter. Victory 10 3-wheel are some of the top sellers in the entire category of mobile electric scooters. In addition to a stellar reputable for transforming what lighter -weight, portable scooters can do, Pride offers airtight warranties and excellent support. Ready made for life’s travelers this 3-wheel is ideal for people on the go that just need something light and convenient for getting around when they stop in a new city or dock in a new port. Whether you’re driving around a familiar trail, riding down the dock or even taking your yourself a state over in your car this mobility scooter is the perfect travel companion for those on the go. As you sort through the different kinds of motorized wheelchairs available, you’ll likely be surprised by the breadth of options available to you. Below are the main types of electric mobility wheelchairs you’ll encounter in your search for the perfect match. You’ll notice that in many ways, the key advantages and drawbacks of each one mirror the corresponding types of scooters we discussed above. Like heavy duty electric scooters, heavy duty power wheelchair models are available for larger framed people people who require additional weight capacity and /or legroom. The downside to this solid build is that a heavy duty wheelchair can be difficult to carry or use on lifts, and few models can be easily dismantled. Another important factor that Pride keeps in mind is elevation. The Jazzy Air 2 Scooter, for example, can lift the user up to 12” in 1 1 seconds while maintaining seat comfort. 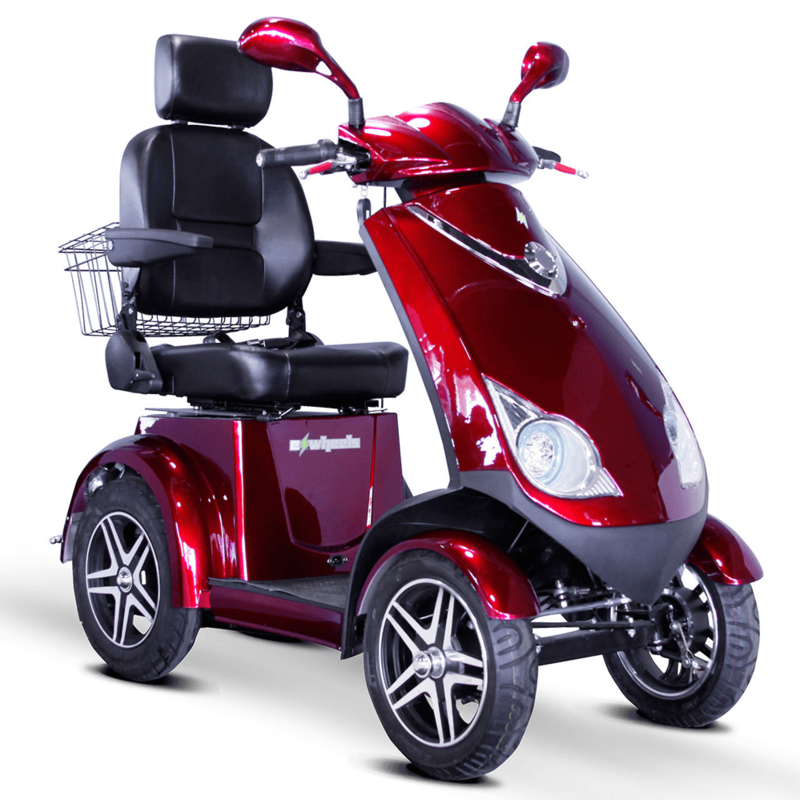 More than most wheelchairs and many scooters, a model like this allows you or your loved one to reach virtually anything you need. As mentioned before Pride Mobility understands that its mobility products are more than just a means for getting around, they are a way to restore a person’s sense of independence. With the lift feature of this electric scooter riders can maintain a comfortable position, while among their peers. The increased lift gives the rider a larger range of access to their own home and surroundings giving them even more independence in movement. At the same time the slim profile of the scooter allows the rider to fit comfortably among the group or inside their own home. Especially for individuals with smaller stature, this helps ensure that you or your loved one can comfortably sit at a standard table or desk. Many people also find that adjustable height makes it easier to socialize when those around you are standing. 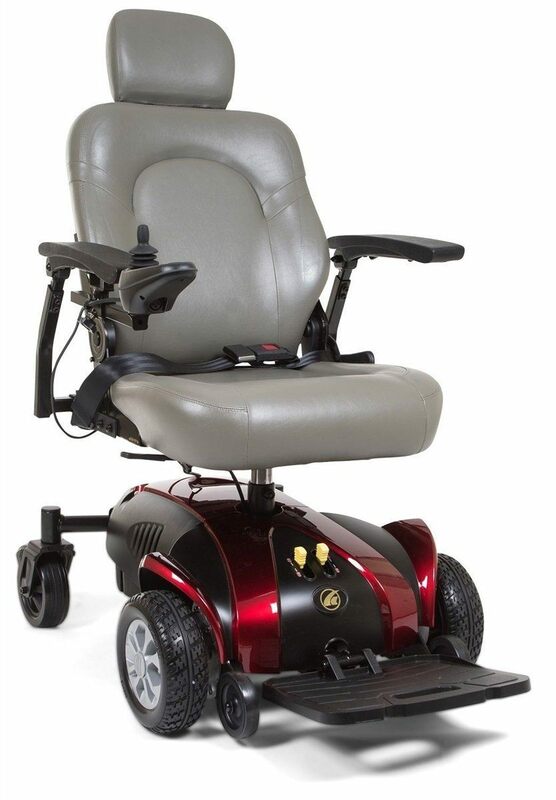 Golden Technologies Alante Sport Power Chair, a popular model, illustrates many of the benefits that today’s heavy duty electric wheelchairs provide. It has a driving range of 16 miles and an adjustable captain’s seat that can comfortably support a wide range of body sizes. It also includes enlarged anti-tipper wheels for added stability. 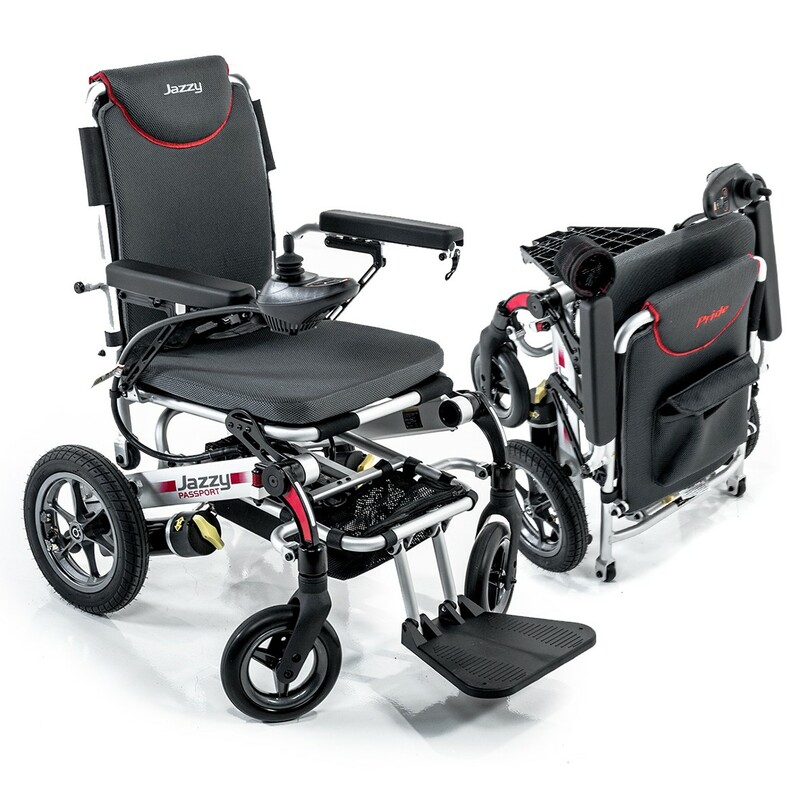 With a number of features helping this chair stand above the competition, the Alante Sport GP205F can provide the necessary power an electric wheelchair should while still providing a comfortable ride. 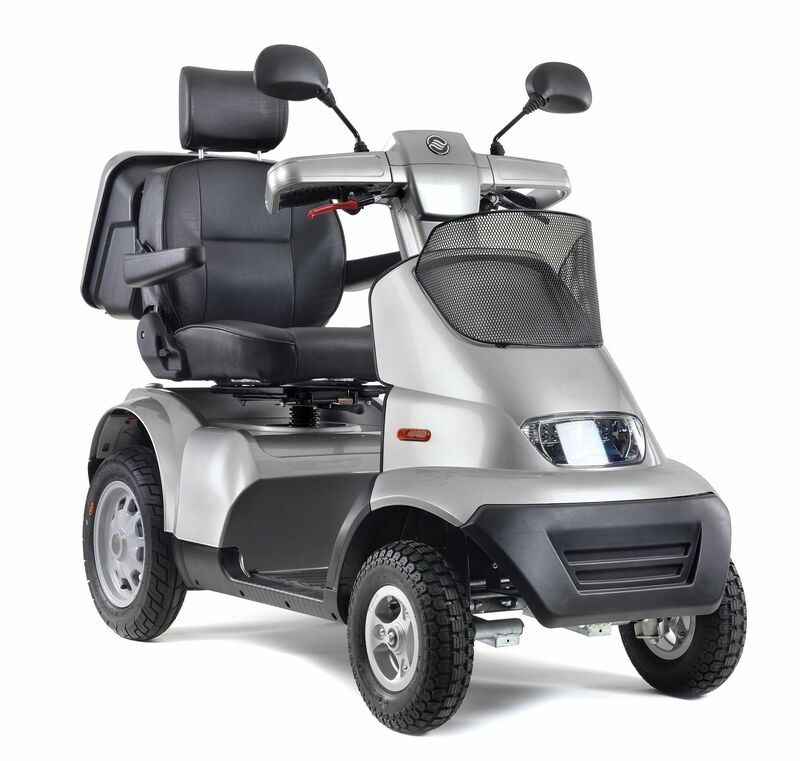 Along with a captain’s chair for maximum comfort this model also sports, front wheel drive power by an inline motor making it capable of handling even the sharpest carners a breeze. One of Golden Technologies most substantial electric wheelchairs, the Compass Heavy Duty Powerchair, has a 450 pound weight capacity yet is still quite maneuverable with a 20” turning radius. 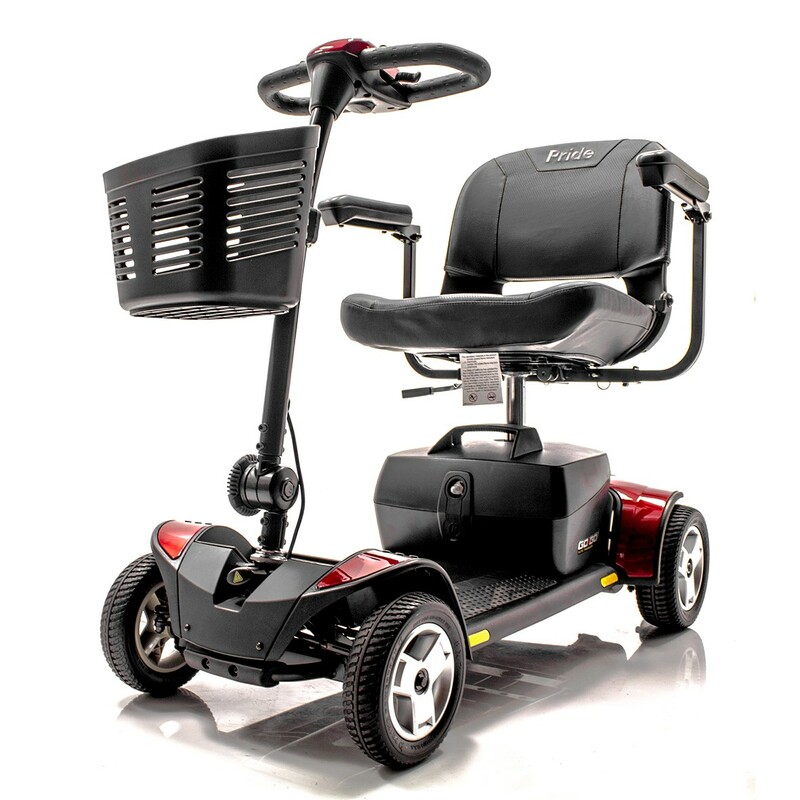 It also has the benefit of being more portable than most heavy duty electric wheelchairs; an innovative sliding feature and flat-fold hinge allow the seat to be removed for easy transport. Power and flexibility are usually hard to find in an electric wheelchair but with the Powerchair, you have a reliably powerful mobility device that can offer tight turning and quick and easy disassembly, making it a dream for people in need of strong machine that can go more places with them. While many people confined to wheelchairs used to face limited mobility options, today’s outdoor electric wheelchairs can take you or your loved one almost anywhere. Like outdoor scooters, they tend to have a wider turning radius and larger size than their indoor counterparts. Innovative models like Pride Mobility Go Chair show that outdoor wheelchairs can still be relatively lightweight. Models like these offer a customizable and versatile riding experience, not very dissimilar from an outdoor electric scooter. Though unlike an electric scooter, this outdoor electric wheelchair is built for heavy duty use, so it is perfect for any traveling you may need to do. 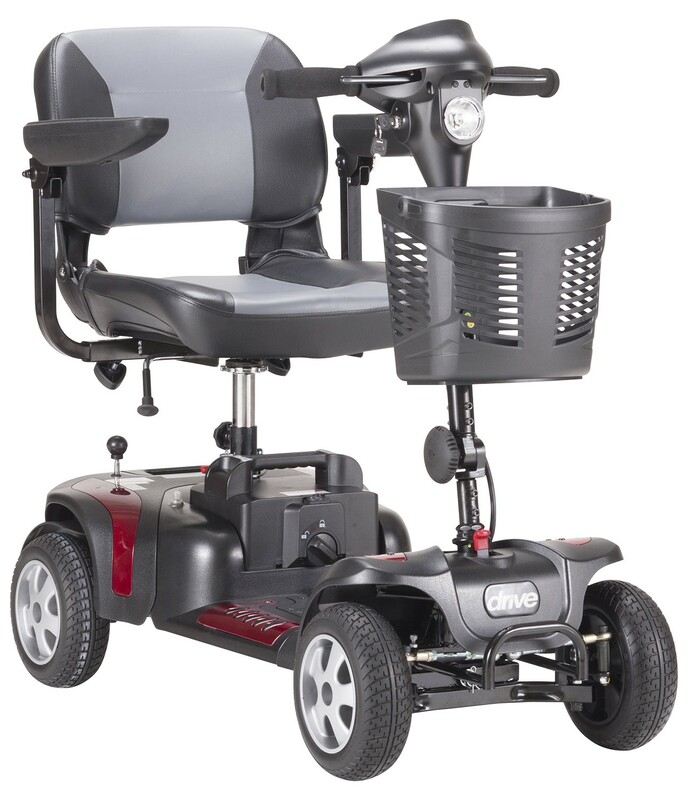 Along with the high powered motor and two long lasting 12V/18AH batteries, the slim profile of this outdoor electric wheelchair allows for the rider to maintain a taller profile than most other power chairs without resorting to a lift model. Lightweight electric wheelchairs, which now come in foldable varieties, can make a huge difference if you or your loved one needs to take your equipment from place to place. The tradeoff for this added convenience is a less comfortable ride; folding electric wheelchairs are not as padded or adjustable, making them less accommodating for some mobility issues. In some cases, they are slightly more expensive - but be sure to look, because that’s just a generalization. 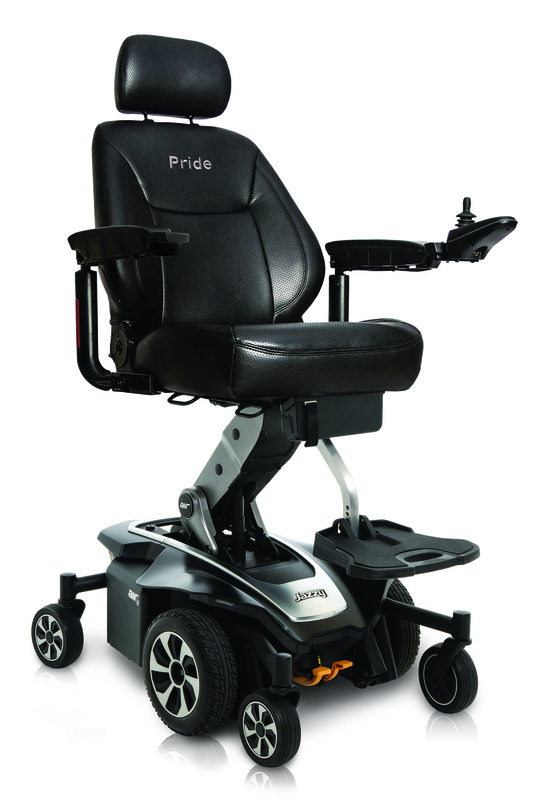 An excellent product for addressing this concern is Pride Mobility’s Jazzy Passport Power Chair. For a foldable wheelchair that’s so easy to assemble and carry, many users find the Jazzy Passport provides more than enough physical support for their needs. While not offering the same strength as some of the other mobility devices in this category it is worth mentioning that this wheelchair is a lighter duty frame and is designed and built by Pride Mobility. This electric wheelchair is a strong enough mobility option to handle anything most electric wheelchairs in this category can handle, as well as being easily compacted for transportation. You’ve selected a mobility scooter or electric wheelchair that you feel great about– now all that’s left is to put your new equipment into action and seize the opportunity to make this new chapter of your life full of new freedoms, great opportunities and an improved outlook. The transition to using motorized mobility equipment can present unfamiliar challenges, and will have different physical, emotional and social impacts on each person. Because preparation always makes the process smoother, we recommend taking a few key steps before your first day as a mobility scooter or electric wheelchair user. With the right advice and an engaged support system you will be ready to roll with confidence. One of the most common (and easily avoidable) sources of problems with motorized mobility equipment is incorrect charging and maintenance of the battery. To optimize performance and reduce the risk of damage, make sure you understand the guidelines for your specific device. Most electric scooter batteries and electric wheelchair batteries should be charged every night. This takes an average of six to eight hours, though the time varies by make and model. Most devices include chargers with automatic shut off, allowing the user to plug it in at night and have fully charged batteries by morning. If you use your equipment outdoors, we always recommend leaving the house with a full charge. You should also bring your battery charger with you in case you have an unexpected need for it. Making small adjustments to your home environment can significantly ease the transition into using your new mobility equipment. You can optimize a house or apartment for scooter or wheelchair use with low-cost, DIY additions such as entry ramps, lower shelving or grab rails. A top priority in this stage is making surfaces as smooth as possible, which could include removing rugs or paving gravel driveways with concrete. Bringing home a new mobility scooter or electric wheelchair can also be an opportunity to think about larger changes that could enhance your or your loved one’s quality of life, such as installing wheelchair lifts or designing a handicap accessible bathroom. This is just the beginning of a long chapter, so be patient as you and the people in your life adjust to the daily realities of your new mobility solution. For instance, you may need to complete several test drives close to home before taking your scooter or wheelchair out on the town, or learn any local traffic laws that apply to your device. Friends and family should become familiar with the equipment as well, as they may be helping you assemble, transport and maintain it. Give yourself extra time to get from place to place during this early stage, such as when taking your electric wheelchair on a bus for the first time. As with other new skills you will see improvement every day—all the more so if you commit to practicing challenging tasks, seeking informative resources and welcoming support from loved ones. You’re closer than ever to your perfect mobility solution! Having read this guide you’ve already taken several important steps: weighing the differences between electric wheelchairs and electric scooters, getting to know the main types of each equipment and learning how to optimize the use of your new mobility solution. This information, combined with the support of a great vendor, will keep you feeling confident, informed and in control throughout the process. 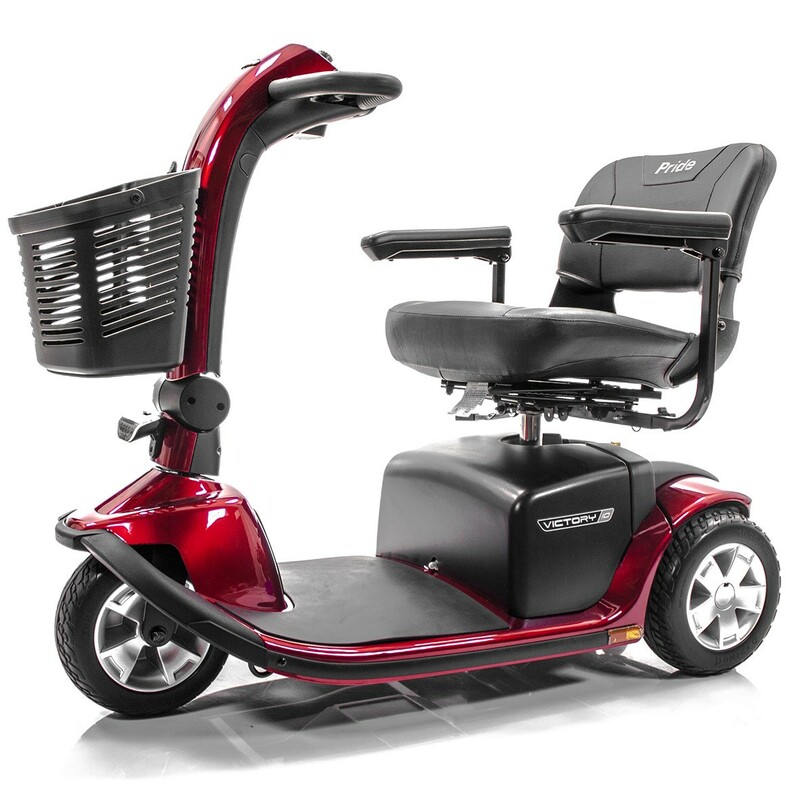 At Scooters ‘N Chairs, our knowledgeable team is passionate about making the experience of buying mobility equipment as easy and enjoyable as possible. We would love to hear about your needs and help guide you toward the electric mobility scooter or electric wheelchair that will most powerfully enhance your or your loved one’s life. Visit our comprehensive learning center today!